Home Facebook Cover Facebook Tips Web Design Facebook Cover Design Tips and FAQs! Facebook Cover Design Tips and FAQs! Facebook has long time back introduced the cover feature. Facebook Cover has to be as eye catchy as possible and there are certain basic tips and tricks related to Designing Facebook cover which I would love to discuss over here. Facebook cover has to be typically 851 X 315 pixels in dimension. What will happen if you upload smaller images as Facebook Cover? Well they will be stretched. What will happen if you upload larger images? Well it will e cropped. However Facebook will give you option to crop it as per your wish. What is Minimum Dimension acceptable as Facebook cover? At leas 399 pixel wide and less than 852 pixels. How to get Facebook Fanpage load faster? Well just make sure you upload the image of the exact dimension i.e. 851 X 315. This way you prevent Facebook to spend processing time in resizing your image every time. 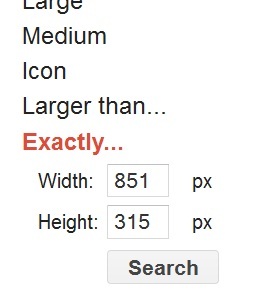 Also make sure your Facebook cover size is less than 100 KB of JPG format. What if I have a logo in my Facebook Cover? Well if there is a logo it is highly recommended that you stick to the same dimensions but use the .PNG file format. If your file size is withing 100 KB you have hit the nail on its head if not let it not slip beyond too much. I had written this article about some of the most creative Facebook Covers of all times and you can use it as an inspiration for your Facebook cover. You can use the Google Image search to search for Facebook Covers as well. Just put int exact dimension in Google Image search and you will get tons of cool Facebook Covers.